A wanted senior PKK terrorist was killed in a counter-terror operation carried out in northern Iraq, the defense ministry said Tuesday. The ministry said in a statement that PKK terrorist Mehmet Soysüren codenamed Savaş Porsipi was killed in the operation. He was allegedly responsible for "special forces" of the terrorist group. 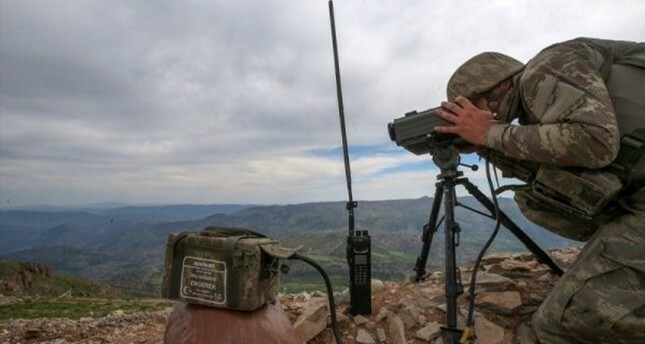 The Turkish military regularly conducts cross-border operations in northern Iraq, a region where PKK terrorists have hideouts and bases from which to carry out attacks in Turkey. The terrorist organization isn't just active in Turkey but operates throughout the region, particularly in Syria and Iraq. The Turkish government has repeatedly called on the Iraqi government to eradicate the PKK threat. If not, Ankara says the Turkish military will exercise its rights and launch a cross-border operation in the area, as it did during Operation Euphrates Shield and Operation Olive Branch in Syria.